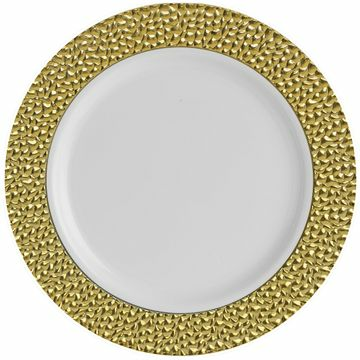 Home»China-like Tableware»Hammered Collection - Various Colors»Hammered Collection - White w/ Gold Hammered Border»Hammered Collection 7" White w/ Gold Hammered Border Salad / Cake Plastic Plates 10ct.»Hammered Collection 10 1/4" White w/ Gold Hammered Border Banquet Plastic Plates 10ct. 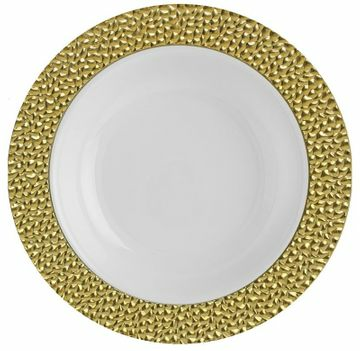 Set your table with Elegance! Enjoy our new line of premium designed plastic plates with a hammered border. 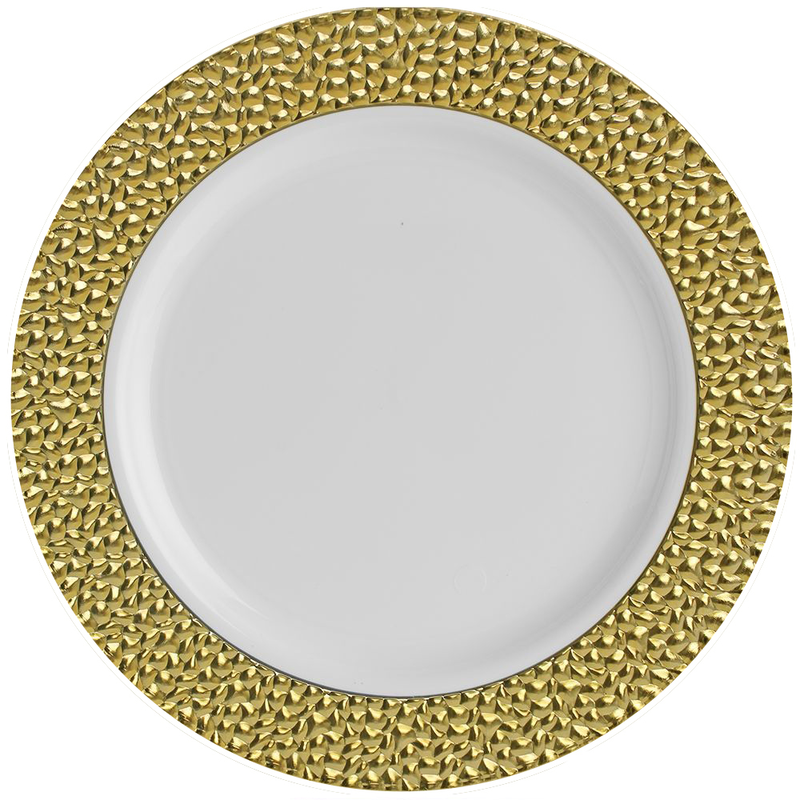 This unique white plate with gold hammered border is great to use at any formal function. 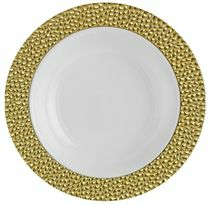 Available in 9", 7" and bowls as well. Looks like real china. 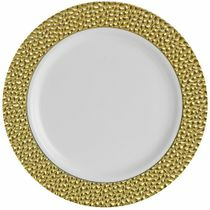 Ideal for holidays, large gatherings, weddings, Party's, and special events, where you want an elegant and fancy look with the convenience of disposable.